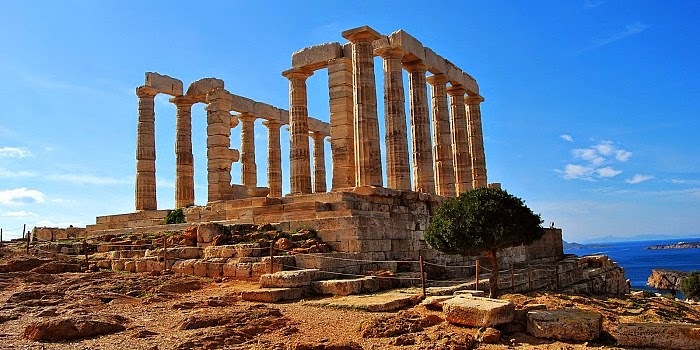 Located around 65km from central Athens, Cape Sounio is a place of exceptional beauty thanks to the sparkling sea surrounding the area and the imposing Temple of Poseidon right on the edge of the cliff. Reaching Sounio visitors will immediately feel impressed by the grandiose simplicity of nature and Doric columns that have inspired many poets, including Lord Byron who carved his name on one of the columns. When the weather is good and the sky is clear you can also see at least seven nearby islands, including Aegina. Your visit to Cape Sounio can involve some sightseeing to enrich your knowledge in history and a refreshing swim in the crystal clear water of the Saronic Gulf. For fresh fish and sea food just opt for any of the seafront taverns along the shore. However, apart from the iconic landscape, what you will also enjoy during your trip here is a fantastic drive through some of the most upmarket suburbs of Attica, such as Glyfada, Vouliagmeni and Varkiza, which are lined with a stunning promenade and many beachfront cafes and restaurants too. All in all, a visit to Athens can never be boring as history buffs and beach lovers can have equal fun!